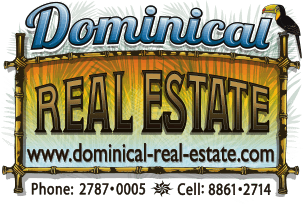 Dominical is a small town on the coast in the southern pacific region of Costa Rica. Some people come here for the excellent year round surfing, which includes both beach and reef breaks, while others simply come to enjoy the unspoiled nature and wildlife that is so abundant in the area. The lush tropical mountains that meet the ocean are extremely biologically diverse. You can find monkeys, sloths, ant eaters, pizotes, tucans, parrots, along with many other tropical animals and countless trees and plants that make it a nature lovers dream. The town itself is very quaint with accomodations that suite everyones needs. There is everything from backpackers hostels to high end accomodations including bed and breakfasts and luxiory vacation rentals. There are also restaurants for everyone from typical Costa Rican food to fancy fine dining. A few kilometers to the north you'll find Hacienda Baru, a nature reserve with extensive bird and wildlife as well as an adrenaline pumping zip line tour. 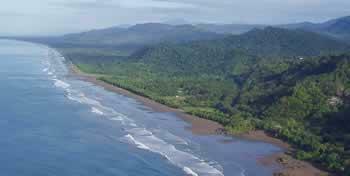 A few Kilometers to the south in Uvita you'll find the Ballena NationalMarine Park. The park was created in 1990 to protect 13 kms of coastline and the marine habitat. Some activities in the area inlude surfing, scuba diving and snorkling, waterfall tours, zipline and canopy tours, kayaking in ocean caves, paddling through mangroves, bird watching, fishing, and anything else your imagination can come up with! !